The structure of China's machine tool industry has been continuously adjusted with the development of the automation industry. At the same time, technological progress has also accelerated the transformation of a new type of industrialization for sustainable development. 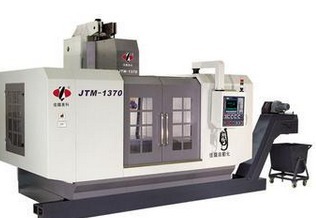 With the improvement of the precision and efficiency of machine tool products, the market prospects of China's CNC machine tools have also changed in 2013. At present, most of the machine tools used in China are ordinary machine tools. The number of ordinary machine tools is huge, and safety issues are highlighted. Therefore, the security issue has become a major obstacle to its development. Increase safety performance, improve the intrinsic safety level of the machine, solve the problem of low degree of numerical control, frequent occurrence of personnel injury accidents, low safety level, and low production efficiency. After the ordinary machine tool completes the transformation of the numerical control, it can greatly improve the machining efficiency and automation and intelligence of the machine tool. The possibility of operator's contact with dangerous parts is reduced; the operating system and operation interface are more and more in line with ergonomic requirements, which can effectively reduce the error rate of operators and reduce the accidents caused by mistakes. After the transformation of the machine tool by CNC, the safety performance has been significantly improved, and the accident rate has been significantly reduced, which will bring huge safety benefits. Compared with the purchase of new machine tools, the transformation of ordinary machine tools in numerical control is especially obvious for large and special machine tools. Luo Baihui said that the general large-scale machine tool transformation, only 1/3 of the cost of new machine purchase. In the cost savings, while the NC transformation can also save due to all the updates caused by the corresponding energy consumption and pollution emissions. The transformation and renewal of many ordinary machine tools can form a new market demand of hundreds of billions of dollars, which can play a certain role in maintaining economic growth. According to past experience in retrofitting, after the transformation of ordinary machine tools by CNC, the efficiency of the machine tool has been significantly improved. The original one machine tool needed a person to control, after transformation one worker can control two machine tools at the same time. At the same time, the machining accuracy of the machine tool has been greatly improved, and the scrap rate caused by human error has been significantly reduced. Moreover, the labor intensity of workers is reduced, labor is saved, trial production period and production cycle of new products are shortened, and huge economic benefits are brought to the company. From the perspective of the development of the machine tool industry, remanufacturing is the most effective method for reusing CNC machine tools. At present, there is a huge market for domestic CNC machine tools, and new technologies should be used to transform traditional industries. This will not only improve technological innovation but also rapidly develop emerging industries.